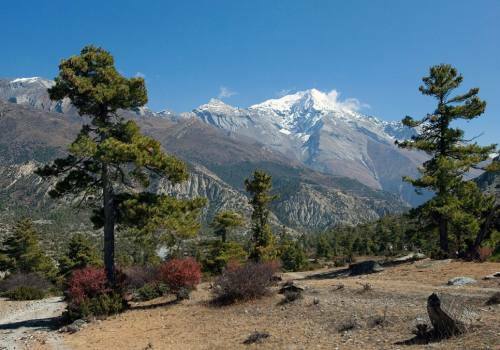 Annapurna Panchase Trekking is one of the renowned village treks intended for the pilgrims. Here, pilgrims come to show their veneration towards their forefather’s spirit and to give their blessings to the gods of the mountains. In addition to that, most of the people visit to gain knowledge and experience about the ethnic groups in the area, as well as the precious Himalayan peaks. Our Annapurna Panchase Trekking provides an opportunity to spend time with and learn about the Gurung community. High snow-capped peaks, including several above 8000m, provide a picturesque background for our trek. 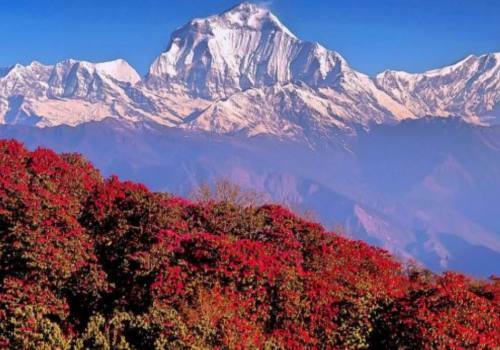 Annapurna Panchase Trekking is suitable for those seeking an enriching cultural experience combined with your typical jaw-dropping Himalayan views. 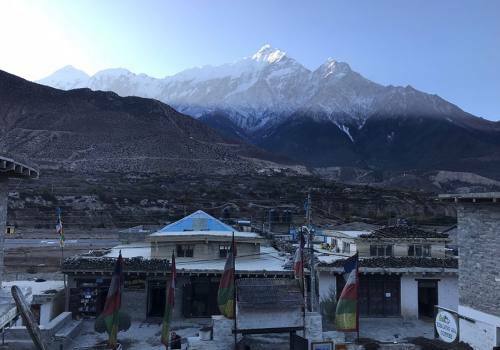 It is perfect for those who do not have enough time or energy for the Annapurna Circuit Trek, but would like to see what the region has to offer. 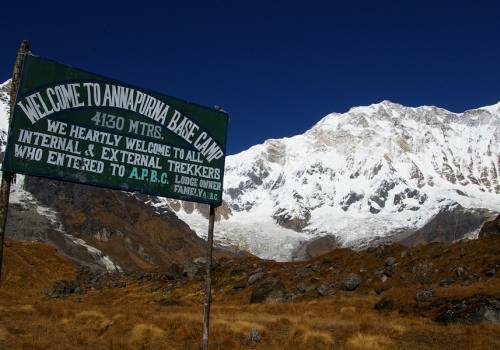 Most of the trekkers appreciate Annapurna Panchase Trekking as it is considered as a model trek. Our Annapurna Panchase Trekking package unites the cultural sites of this region starting with a drive to gorgeous city of Pokhara and its natural loveliness. Machhapuchhre is a supplementary magnet that pulls trekkers of all capabalities towards it. This trek is not specified to certain people. The important thing is you must have strong will power to trek and learn about villages nestled in the Himalayas. Day 02Drive to Pokhara In an in the early hours morning you will leave from the hotel for scenic drive towards Pokhara along the Prithivi Highway (approx 6 hours). Besides the wonderful drive along the great natural landscape, foreigners will also have the chances to view rural communities and their range of culture along the Highway. Overnight stay at guesthouse. Day 03Drive to Khare and trek to Bhumdi (1520m)On the 3rd day we will drive to Khare and will start the trek from there. We will be walking along the village side and forest area. After about four hours of walking, we will arrive at Bhumdi. There, we will take your lunch and explore the surrounding area. 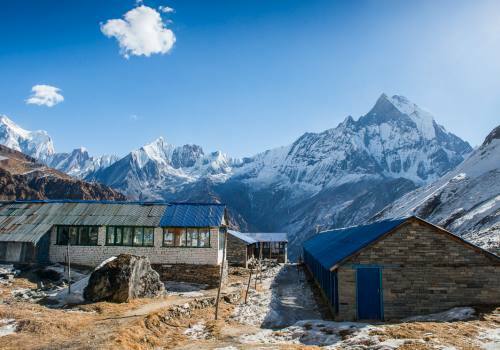 From Bhumdi, we can see spectacular views of Ganesh Himal, Hiunchuli, Manaslu, and other looming peaks. Overnight stay in a tea house. Day 04Trek from Bhumdi to Panchase Bhanjyang (2030m)Today, we trek to Panchase Bhanjyang from Bhumdi. We will be walking up to the hill for an hour and from there you will again move down all the way through the forest and stunning view of Dhaulagiri and Annapurna. Overall the trail is nice and tranquil. Overnight stay in a tented camp. Day 05Trek from Panchase Bhanjyang to Bhadaure (1107m)On the 5th day, we'll trek to Bhadaure from Panchase Bhanjyang after taking breakfast. After hiking for a couple of hours of descending from Bhanjyang, we will take our lucnin a small village with great views. After our rejuvenating lunch, we keep on moving along the Northern side of Panchase danda where you will get forest for nearly 3 and half hours. In Bhadaure, you will find Gurung village which is known as Gurkhas. Overnight stay at a guesthouse. Day 06Trek from Bhadaure to Naudanda (1443m) and drive back to Pokhara On the 6th day you will trek to Naudanda from Bhadaure by hiking through fascinating villages. It takes about four hours to reach at Naudanda. From Naudanda you will make to Pokhara. Pokhara is an attractive destination for tourists of all types. You can spend a good time exploring Pokhara. Overnight stay at a guesthouse. Day 07Drive to river for rafting excursion, drive back to Katmandu On the 7th day you will arrive at Kathmandu after our rafting excursion. For the rafting you will drive to Trishuli River. Trishuli River is a well known river of Nepal, accessible by the Prithivi Highway. This is an exhilarating experience and an awesome way to conclude the trekking experience. Overnight stay in a hotel. Day 08Sightseeing in Kathmandu Kathmandu Valley includes several UNESCO World Heritage Sites, including Pashupatinath (famous Hindu temple and cremation ground) Boudhanath (massive Buddhist stupa). We can also visit Swyambhunath, also known as Monkey Temple, which was built roughly 2000 years ago. Finally, we can visit Patan, city of fine arts. In the afternoon, you will be meeting with your trekking guide and will check all the necessary things. Overnight stay at the hotel. Day 09Free day On the 9th day you have some free day so, taking some rest you can move different corners of Kathmandu. In the evening you can go Basantapur and explore the surrounding having tea and take some snaps. You can enjoy this free day by visiting museums too if you are willing to know more about Nepal. Overnight stay in a hotel. Day 10Departure!!!! We will transport you to the airport. Thanks for trekking with Adventure Himalayan Travels. 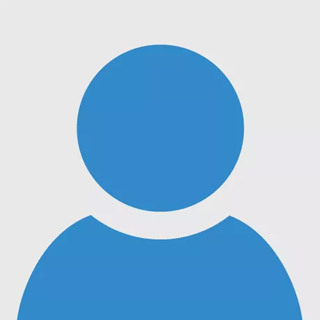 We look forward to seeing you again!